Hire a Lamborghini in Switzerland with 365 Luxury Car Hire and you are sure to experience the best in high-end luxury travel, combined with our exlusive personal concierge style service. With thousands of successful Lamborghini rentals to our name we pride ourselves on ensuring that the level of service we offer to our clients is on par with with level of performance of our cars. Upon booking your rental we provide guaranteed delivery of the Lamborghini you have reserved, delivered to the location of your choice anywhere in Switzerland. Whether at the airport or directly to your hotel, villa or office, our professional drivers will ensure your Lamborghini is delivered at the time agreed promptly and that you are happy with all aspects of the rental and ready to drive away. Some of the more popular Lamborghini rentals in Switzerland include the powerful Lamborghini Aventador, the luxurious Lamborghini Gallardo Spyder and of course the classic Lamborghini Superleggera but don't worry if you can't see the vehicle you desire here on our website. In addition to our rental fleet we work hard to develop personal relationships with owners of exclusive Lamborghinis that are willing to make them available to hire. These relationships put us in a unique position to be able to arrange your Lamborghini rental in the Switzerland area that other luxury car hire companies simply don't have access to. How much does it cost to hire a Lamborghini in Switzerland? The cost of hiring a Lamborghini in place varies greatly depending on the vehicle you require, the amount of time you wish to hire the vehicle for and how far you wish to drive during your rental. Our rentals include a very competitve number of km inclusive of the price quoted. For specific quotations we advise chatting with our reservation team about your trip details and they will get to work designing a package specifically for you. Where in Switzerland can I rent a Lamborghini from? Anywhere (within reason)! We specialise in bringing the vehicle to you so regardless of your location in Switzerland we can bring the car right to your door. Additionally we can pick up either from the same location or a different one. Our aim is to make hiring a Lamborghini with us as hassle free as possible. Where else can I rent a Lamborghini near me in Switzerland? All in all, with our high class service, and unrivalled range of vehicles you are guaranteed an enjoyable trip when you use 365 Luxury for your next Lamborghini Switzerland rental! Ferruccio Lamborghini, an Italian fabricating financier, established Automobili Ferruccio Lamborghini S.p.A. in 1963 to rival built up marques, including Ferrari. The organization increased wide approval in 1966 for the Miura sports car, which set up rear engine, rear wheel drive as the standard format for superior autos of the period.Lamborghini developed quickly amid its first decade, however deals dove in the wake of the 1973 overall monetary downturn and the oil emergency. The associations possession changed three times after 1973. American Chrysler Corporation took control of Lamborghini in 1987 and sold it to Malaysian speculation group Mycom Setdco and Indonesian bunch VPower Corporation in 1994. In 1998, Mycom Setdco and VPower sold Lamborghini to the Volkswagen Group where it was set under the control of the Audi division. 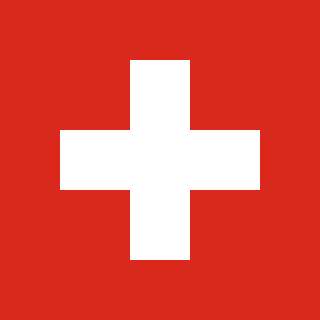 Switzerland, officially the Swiss Confederation, is a country situated in western, central, and southern Europe. It consists of 26 cantons, and the city of Bern is the seat of the federal authorities. The sovereign state is a federal republic bordered by Italy to the south, France to the west, Germany to the north, and Austria and Liechtenstein to the east. Switzerland is a landlocked country geographically divided between the Alps, the Swiss Plateau and the Jura, spanning a total area of 41,285 km2 (15,940 sq mi). While the Alps occupy the greater part of the territory, the Swiss population of approximately 8.5 million people is concentrated mostly on the plateau, where the largest cities are to be found: among them are the two global cities and economic centres Zürich and Geneva.